Writer Wednesday was Callie Gold, an Israeli romance novelist! Not much this week, but I have done a few Late Night Conversation posts that I don't think I've mentioned here yet. I hope you have a lovely weekend! We're having our annual Friendsgiving potluck tomorrow, so I'll be roasting a turkey, baking up some corn pudding, and seeing lots of friends from all around the city and beyond! Pics from the past, I'm thinking! Happy weekend! This is so neat! I love old photographs. There's just something about them. Those haircuts and mustaches! So much hair. LOL! I'm intrigued - what ties together old photos of Sarah Lawrence (I think that's what it says on their shirts isn't it) and Oxford Today (which I love for the photos even if some of the science articles go over my head!)? Lots of food for thought which is in itself an excellent moment! Haha, thank you! What ties them together is they were all in my mail! 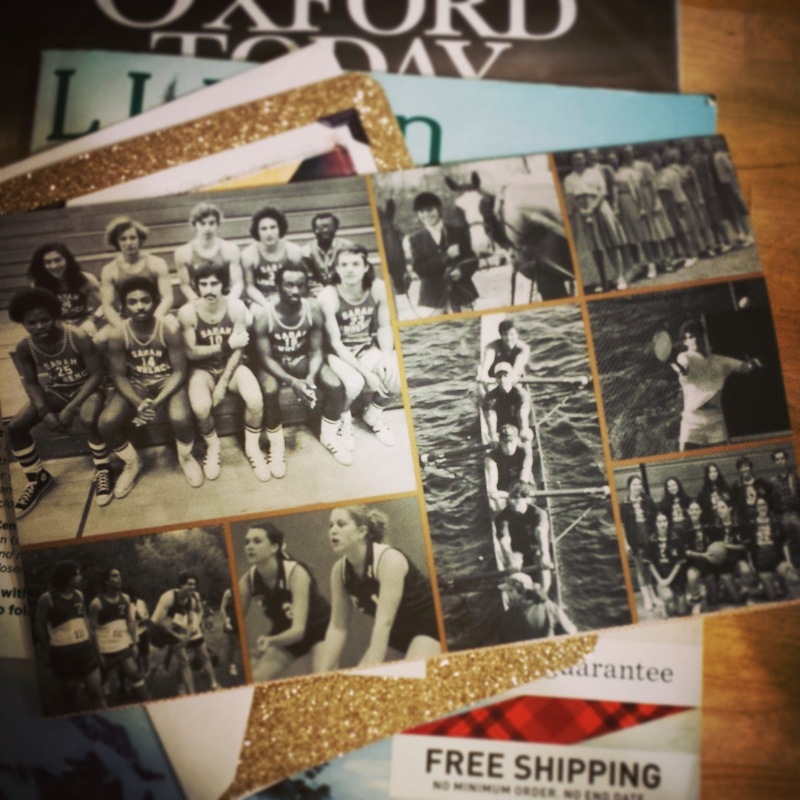 But looking over the little gathering of alumni mail and the LL Bean catalogue and a card from a dear friend, I felt so warm and like, "oh, here are some things that fit neatly into my heart and life."